I've been reading the blogs of previous PCT thru hikers and realizing that the gear that I have become so accustomed to over the last ten years my be out-of-date and that I will probably need to and a few things (and more weight) to my standard gear list. I read about all of the post-holing that people end up doing thru the Sierras and I wonder why I don't hear more about snow shoes? It seems to me that snow shoes might be just the thing for an early traverse of all of the snow that is in the High Sierra in June. Kahtoola has a pair the is 3.5 lbs, ugh! more research is needed on this for sure. It looks like Kahtoola MICROspikes may be in my future as both Balls and Wired talked about the value they found in using them. Another 12.5 ounces of weight to consider, yech!. I have also shied away from zip-off leg hiking pants for years because of my (mistaken?) impression that the zipper would begin to irritate my quads. I hiked in long pants last weekend and it was too hot and uncomfortable, so I went to REI yesterday and bought me a new set of Sahara pants and a new long-sleeve hiking shirt. I bought the lightest colors I could find because they tend to be much cooler when you are hiking in the hot sun. These nylon hiking clothes are the most durable and long-lasting clothes I have ever owned. The hiking pants and short sleeve shirt that I am replacing are at least fifteen years old and have not ripped, the seems are still solid, and they have all of the buttons. Great job REI! And as an added bonus I learned a new word today, placket, as in "Features a button-close front placket." Best of all, I used my REI dividend so there was no out-of-pocket expense. I have also added the Sawyer PointONE Squeeze Filter to my Amazon wish list as I have heard that this is a great new product, and only 3 ounces. The only downside of my current reliance on Aquamira is the time it takes from initial mixing to actually drinking the water. I can see that the combination of the filter and Aquamira will give me the best of both. Especially in the southern end of the PCT with the poor quality, and infrequent water supply. Finally I am considering upgrading my light source from the tiny Photon Freedom Micro-Light to something brighter and more robust that I can use for night hiking. Since I currently don't do any night-hiking the Photon light is perfect for digging through a stuff sack, or cleaning up blisters in my tent at night. I am trying to balance the lumens and battery life with the weight to determine what would be the best fit for me. 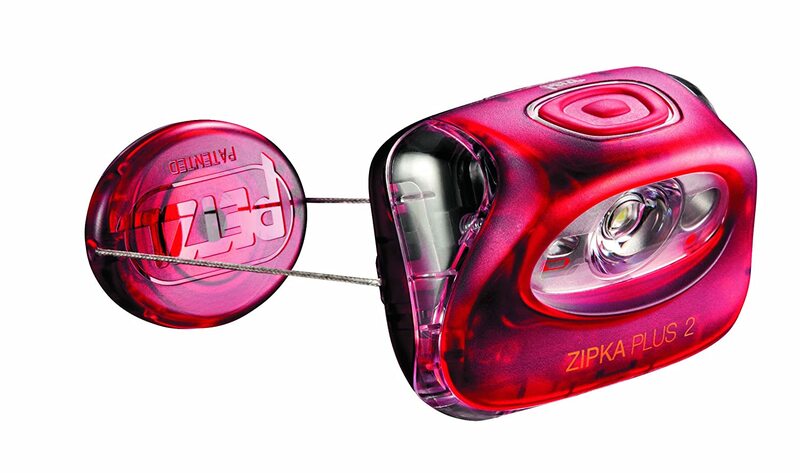 Currently I am leaning towards the Petzl Zipka Improved Lumen Output Plus 2 Headlamp which I have also added to my Amazon wish list. They have a red one which might keep me from leaving it behind at a campsite because it will be hard to miss seeing it. I love researching new gear. What I have to be very careful of is not buying it simply because it is cool. I need to be wary of over packing my pack with lots of gear that is nice-to-have, but not really useful or necessary. One of my sources has recommended that every piece of gear should have at least two uses, otherwise, leave it home. I have have found this to be sound advice. Over the last thirty-five years of hiking I have been able to reduce my base pack weight from about sixty pounds to eleven pounds. I am really hesitant to add anything to that as there has been many a time while I have been on a trail saying to myself "Why did I think I needed that?". I put things on my wish list so that I can think about them and decide if I really want to carry it before I buy it.